My hair probably causes me more grief than any other element of my appearance, and of course I make matters worse for my finely textured tresses by coloring, highlighting, blow drying, and flat ironing it on a regular basis. My hair is naturally a Level 2, although I haven't seen it that color in decades. Every Spring my stylist begins the lightening process that brings me to a Level 7 by the time Summer begins. This year I left it darker by choice, then in my typical fashion decided I wanted it lighter without having to gradually bring the color up over 2-3 months. I wanted it lighter NOW! Of course my impatience meant bleach would be involved, and that always causes even more problems in the end. To say that my hair is dry and damaged is probably a bit of an understatement. It's not my stylist's fault, it's my own. I know the risks, I take them, and then I use every treatment I have to bring my hair back to a healthier place. But I have the color I want for Summer, so part of me is happy. The dryness, the flyaways, the breakage...that part doesn't make me so happy. I typically use a lot of different products each day to make my hair look healthier than it is when it's this light, but honesly, nothing has ever worked to actually repair the damage. Until now! 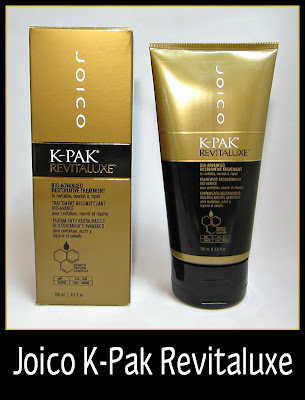 Joico K-Pak Revitaluxe is doing more for my hair than all of those other products have ever done. It's not just making it look healthier, it is healthier. When I received some products from Joico to try out, I was curious about them because in my vast assortment of hair products, I only have one Joico product, their Split Ender Mender. That product, mixed with CHI Silk Infusion, is a daily cocktail for my ends when my hair is showing signs of damage and distress. After using Revitaluxe just one time, I noticed a difference. I've since been using it 3 times a week, and my hair is soft, smooth, and I'm not quite sure where the split ends have gone, but they are barely noticeable anymore. The formula is a fairly thick cream that has a floral scent. I apply it to clean wet hair, leave it on for 3-5 minutes, and then rinse. I follow up with my regular conditioner because Revitaluxe does contain protein, which can dry my hair out if I use too much of it. 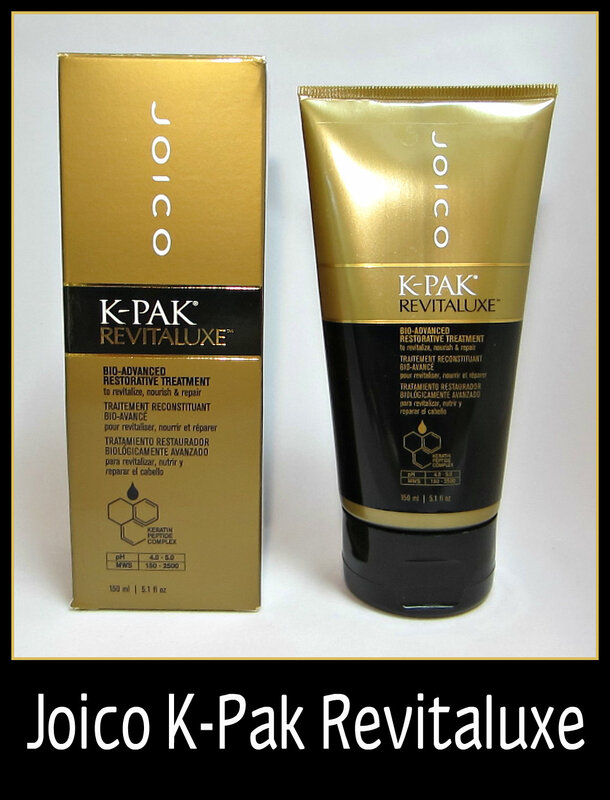 Product Description: The new K-PAK RevitaLuxe Bio Advanced Restorative Treatment actually repairs and restores years of damage instantly by reconstructing the hair structure from the inside out. 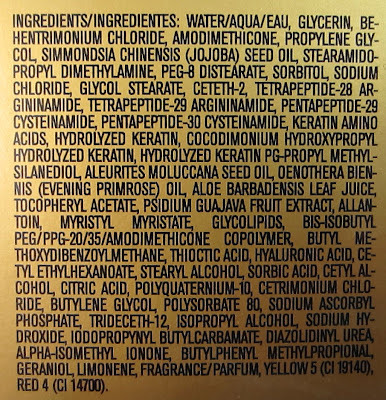 What's more, it offers dramatic cumulative benefits, by continuing to correct and protect strands with regular use. With its unique combination of advanced damage repair plus superior moisture infusion, RevitaLuxe instantly transforms overly-stressed and compromised strands into luxuriously soft, strong and healthy hair. 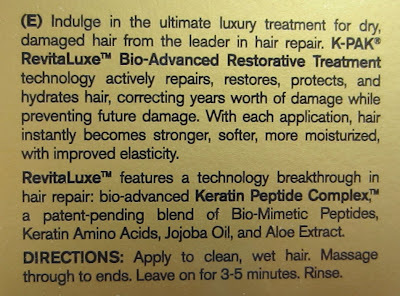 Groundbreaking Technology: The RevitaLuxe Restorative Treatment features Joico's new bio-advanced, patent-pending, Keratin Peptide Complex which actually mimics the natural hair repair mechanism that exists deep within the cortex of each hair strand. This complex features bio-mimetic peptides that actively target and rebuild weak, damaged and broken areas on the hair, instantly strengthening and rejuvenating. 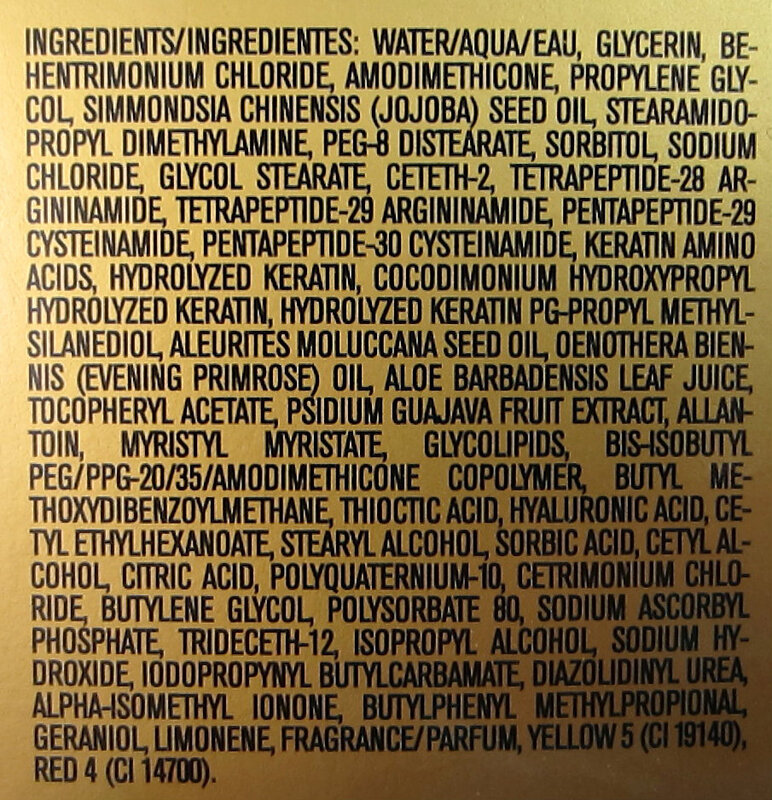 Tests on actual salon clients show that after just one use, hair contains four times as many healthy keratin peptides as it did before application; and after three days of use, it contains more than seven times as many peptides. This means that in addition to repairing existing damage, RevitaLuxe continues repairing and it stands guard against future damage from chemical, environmental and thermal stressors by creating a "molecular bandage" on the hair surface. It also helps prevent premature color fading and maintains color luster. 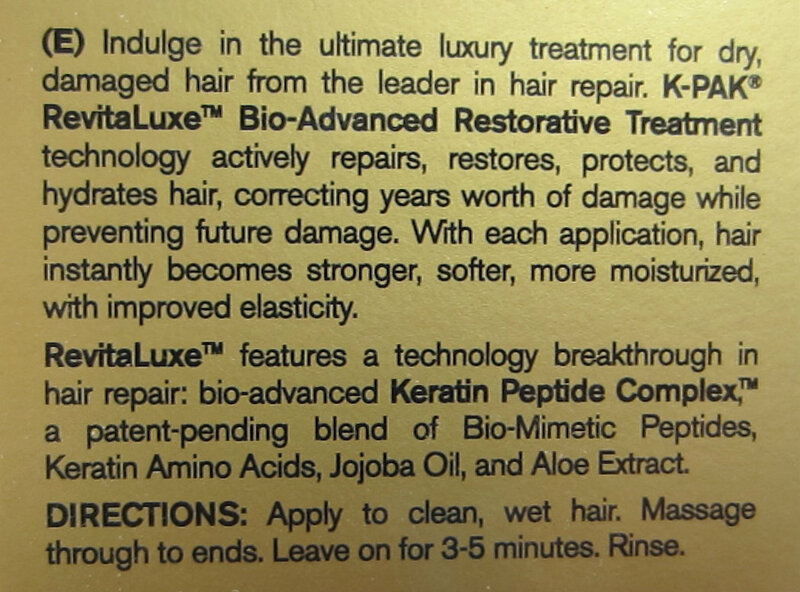 I am so impressed with how well this product has restored my hair! It's stronger, shinier, fuller, and there is less hair going down the drain. You may have to experiment with how often you use this product because as I mentioned, it does contain protein which helps build strength, but that can also cause your hair to become dry and brittle if it's used too much. After reading a lot of online reviews, some ladies use this daily with no problem, while others with hair more like my type have found better success using it just a couple of times a week, followed by their conditioner. If you're looking for something that will really make a difference in the damaged condition of your hair, read some of the online reviews. 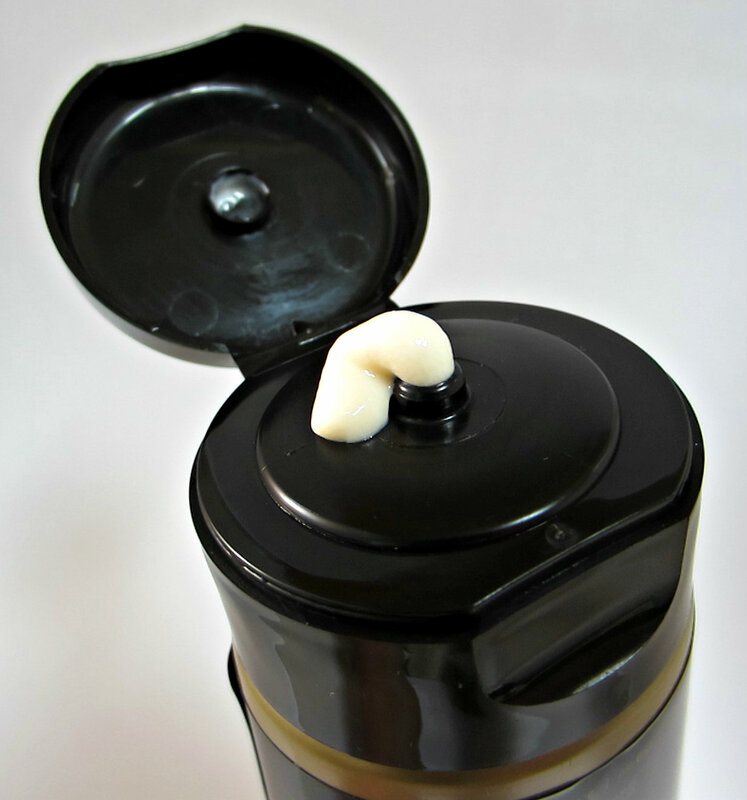 This product receives a lot of love, and I now understand why. You can view Joico's official fact sheet on this product here for more information. I'll be sharing my thoughts on some of their shampoo/conditioner lines in the coming weeks, and I'm now very interested in more of their products. Let me know if you have any Joico favorites that you would recommend. Pricing: This product retails for about $15.00 for the 5.1 oz. tube. It's also available in 16.2 oz. and 1.7 oz. sizes. You can find Joico products at fine salons and various online e-tailers. Try Kerastase. I have fine staright hair so I thought they all do the same, until I tried Kerastase and boy they do make a difference! Hi... i put a plastic cap, and pass my hairdryer for about 4 mins. Let it for another 10 and then i rinse with fresh water. It works even better because keratine is activated with heat only.